Weekly Climate and Energy News Roundup #258 | Watts Up With That? Data Integrity: For several years, some commentators who deal with historic temperature data in their daily work, such as Joe D’Aleo of ICECAP, have stated that warming trends suddenly appeared in areas in which there were no such trend previously, such as the state of Maine. Until about 2011, the government published data showed no trend from 1900 to present. Suddenly, government published historic data showed a warming trend of about 3 degrees F. Tony Heller (who goes by Steve Goddard) has followed this issue, graphically showing that trends appeared in recently published historic data, where earlier historic data showed none. The specific issue was the 2015 Karl, et al. study that claimed there was no pause in global warming. The study claimed that switching from mostly temperature measurements taken at the ship cooling water intake to mostly ocean buoy measurements at the surface introduced a cooling bias to sea surface temperature data. Others believe that, if anything, the switch would cause a warming bias to the data due to the thermal gradient in the oceans. The historic data is too vague to draw any firm conclusions. Adding ocean buoys to the mix does not resolve issues of measurement error and data integrity among the types of measurements. More importantly, Bates asserts that Karl, et al. did not follow proper procedures for archiving data and published adjusted land surface-air data before an adjustment mechanism was fully tested. In so doing, it not only violated policy of NCEI; but also, it violated the policy of the publisher of the paper, Science, requiring data be properly archived for replication by other researchers. This adjustment mechanism may be a source of bias in land surface-air data showing warming trends where none had existed before. If the assertions by Bates are correct, this is a serious issue. The data sets used by NCEI may be infected by introduced biases, intentional or not. These data sets provide a basis for those used by NASA’s Goddard Institute for Space Studies in New York City (NASA-GISS). On February 5, British journalist David Rose reported comments by Bates in the Daily Mail causing a controversy that some groups tried to dismiss as petty. Writing in The Global Warming Policy Forum (GWPF), David Whitehouse (he is not specifically identified as the author) asserts that the errors are significant. It will be interesting to see how the new administration and Congress respond to these assertions. An array of articles can be found under Challenging the Orthodoxy, Defending the Orthodoxy and Measurement Issues – Surface. Of course, the main issue is the certainty expressed by many government entities and NGOs that CO2 is the major cause of climate change. These entities largely dismiss other human influences, such as change of land use, and natural variation. Simply, we cannot separate the influence of CO2 from other human influences and separate CO2 from natural variation. Efforts to stop climate change by curbing CO2 emissions are unrealistic. To complicate issues even further, many entities greatly shorten the time frames needed for projected effects to occur. It is important to recognize that government policies need to be established on realistic expectation, not wild speculation or exaggeration. If exaggerated figures are used for sea level rise, government announcements can paralyze meaningful economic development. It is the measured rate of sea level rise that is important, not the fact that sea levels are rising, or speculation of what may happen at far greater rates than measured. This is particularly true in tectonically stable, low-lying areas such as Florida. During the last interglacial, major parts of south Florida were inundated, but the process took thousands of years. This period is far beyond the meaningful horizon for local planning of development. Practical application of this scientific knowledge is needed. Unfortunately, the storylines, scenarios, by the UN Intergovernmental Panel on Climate Change (IPCC) interpreted by US government entities, greatly exaggerate the rate of rise to as much as 7 feet by end of the century. Their use is a disservice to the public. See links under Seeking a Common Ground. Carbon Tax: Former US Secretaries of State George Shultz and James Baker, both of whom served under President Reagan, argued for a tax on carbon dioxide emissions. They use Montreal Protocol as the key example of what can be done. The Protocol is probably the worst environmental initiative undertaken under Reagan. It was built on laboratory experiments that showed that Chlorofluorocarbon (CFC) can reduce ozone. Ozone helps protect life from Ultraviolet (UV) Light, which can lead to eye cataracts and blindness. A dramatic seasonal depletion of the ozone layer over Antarctica led to the adoption of the Montreal Protocol calling for drastic cuts in CFCs. But, the necessary field experiments were not conducted: Was UV light hitting the earth’s surface increasing? After over 30 years, the issue is still not settled. By contrast, laboratory experiments show that increasing carbon dioxide in today’s atmosphere may cause slight warming, probably immeasurable. The rest is built on speculation, not hard evidence. Using an international agreement built on inadequate evidence is hardly justification for another agreement, or a tax, built on inadequate evidence. See Article # 1 and links under Questioning the Orthodoxy, and Cap-and-Trade and Carbon Taxes. Too Much Water? California has an outstanding system of water storage and delivery for flood prevention, irrigation, and urban use. However, due to political decisions it was not completely built as designed. Also, before the recent drought, based on questionable regulations and laws, significant court decisions required diversion of water from storage and irrigation into the ocean to “protect” fish. Thus, thousands of acres of farm land on the western section of the San Juaquin valley suffered, especially fruit and nut orchards, which require years to establish. Ironically, the USDA Economic Research Service figures show that tree nuts are the second major US agriculture crop exported, with about 72% of the crop exported between 2011 and 2013. (Cotton was number one with about 77% of the crop exported.) California is the major producer of almonds, walnuts, and pistachios, with an estimated value of $7 Billion (2016). Political restrictions and the drought hurt California nut production. Now the whims of nature are heading the other way. Many of the major reservoirs are near capacity and well-above average seasonal capacity. California’s second largest reservoir is threatening to overflow in the emergency spillway for the first time since it was opened in 1968. It is behind the earthfill embankment dam, Oroville, which is the tallest dam in the US at 770 feet (230 meters) (Hoover Dam is 726 feet (221 meter)). The normal spillway is damaged, and fear of erosion limits its use. Additions and Corrections: Several readers asked about the source for the statement that some southern states have a pH as low as 4. One of the sources was a 1984 article published by the American Society of Microbiology. The text stated: The Okefenokee Swamp, located in southeastern Georgia and northeastern Florida, is one of the largest freshwater wetlands in the United States. The Okefenokee Swamp is an acidic (pH 3.1 to 4.4), black-water, peat-accumulating environment consisting primarily of forested swamp and open marsh prairies. [Boldface Added] The abstract stated a pH of 3.7, which was taken to be an average. Thirty-seven species of amphibians live and lay eggs in the Okefenokee. Number of the Week: 5 According to Jo Nova, South Australia has had 5 major black-outs since the state went black in September. The latest one affected about 90,000 customers. The total population of the state is about 1.7 million. It takes dedicated effort and a great deal of public money to turn a stable electrical grid into an unstable one. See links under Energy Issues – Australia. [SEPP Comment: According to the review, ship intake depth may range from 0 to 10 meters (0 to 33 feet). Energy Transfer to Get Dakota Access Pipeline Approval From U.S.
“People should eat less meat to help combat the effects of climate change, the world’s leading expert on global warming has claimed. “Dr Rajendra Pachauri, chair of the United Nations Intergovernmental Panel on Climate Change, said people should aim for one meat-free day a week, before scaling down their consumption even further. “Just as in the 1980s, there is mounting evidence of problems with the atmosphere that are growing too compelling to ignore. And, once again, there is uncertainty about what lies ahead. The extent to which climate change is due to man-made causes can be questioned. But the risks associated with future warming are so severe that they should be hedged. “The responsible and conservative response should be to take out an insurance policy. Doing so need not rely on heavy-handed, growth-inhibiting government regulations. Instead, a climate solution should be based on a sound economic analysis that embodies the conservative principles of free markets and limited government. “We suggest a solution that rests on four pillars. First, creating a gradually increasing carbon tax. Second, returning the tax proceeds to the American people in the form of dividends. Third, establishing border carbon adjustments that protect American competitiveness and encourage other countries to follow suit. And fourth, rolling back government regulations once such a system is in place. The separation of powers broke down in the 20th century thanks to progressives who believed commissions could quickly improve society. “In our own time, Republicans and Democrats can seem united in their distrust of a powerful executive branch, if for different reasons. Republicans contend that the administrative state, with bureaucracies ranging from the Education Department to the Consumer Financial Protection Bureau, is a bloated, unchecked and almost lawless autocracy. Democrats worry that, in recent years, the president has assumed extraordinary war-making powers and has interfered with the proper functioning of regulatory agencies. “Aggressive assertions of executive power are controversial. But are they unconstitutional? Without hesitation, Columbia Law Professor Philip Hamburger would answer ‘yes.’ In ‘Is Administrative Law Unlawful?,’ Mr. Hamburger looks beyond the usual milestones of American regulatory history—the Interstate Commerce Act of 1887, Roosevelt’s New Deal—to trace the origins and logic of dividing the powers of government and, by so doing, limiting the executive’s reach. “He begins with Henry VIII, who in 1539 obtained Parliament’s authorization to make law through proclamations. Henry’s vigorous assertion of that power led Parliament to repeal its authorization just eight years later, yet future kings found ways to follow Henry’s example. In 1610, James I claimed inherent authority to assert power in the absence of legislation. As Mr. Hamburger shows, the abuse of royal power was a central concern throughout the 17th century—particularly amid Charles II’s and James II’s efforts to suspend or dispense laws burdening religious minorities. The result, ultimately, was the Revolution of 1688, in which Parliament adopted the Declaration of Rights that imposed limits on the Crown—including a provision against the suspending and dispensing powers. In the Obama era, it was routine for press releases to avoid mentioning any margin of error. “Statisticians wouldn’t go through the trouble of assigning an uncertainty value unless it meant something. Two measurements separated by less than the margin of error are the same. 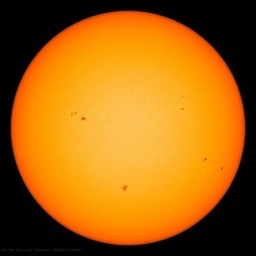 And yet NASA’s Goddard Institute, now under Mr. Hansen’s successor Gavin Schmidt, put out a release declaring 2014 the “warmest year in the modern record” when it was statistically indistinguishable from 2005 and 2010. “Nowadays Goddard seems to mention confidence interval only when it’s convenient. So 2015, an El Niño year, was the warmest yet “with 94 percent certainty.” No confidence interval was cited one year later in proclaiming 2016 the new warmest year “since modern recordkeeping began.” In fact, the difference versus 2015 was a mere one-quarter of the margin of error. “Commerce’s NOAA makes a fetish of ignoring confidence interval in its ranking of the 12 warmest years. Yet when statistical discipline is observed, 2015 and 2016, the two El Niño years, are tied for warmest. And the years 1998, 2003, 2005, 2006, 2007, 2009, 2010, 2012, 2013 and 2014 are all tied for second warmest. “In other words, whatever the cause of warming in the 1980s and 1990s, no certain trend is observable since then. “Shall we posit a theory about all this? U.S. government agencies stopped mentioning uncertainty ranges because they wanted to engender a steady succession of headlines pronouncing the latest year unambiguously the hottest when it wasn’t necessarily so. “This doesn’t mean you should stop being concerned about a potential human impact on climate. But when government scientists deliberately seek to mislead, it’s a warning to raise your guard. “For instance, NOAA states its annual temperature estimate as an “anomaly” in relation to the 20th-century average. Do you really believe government scientists can reconstruct a global average temperature for years in the first half of the 20th century with sufficient accuracy to allow comparisons of 1/100ths of a degree? “…. Our guess is that fighting with his administration’s climate scientists won’t seem like much of a priority. And yet, given all the money U.S. taxpayers spend on climate science, a mental freshening wouldn’t be the worst thing. Goddard’s Mr. Schmidt, keeper of a snarling blog that makes frequent use of the slur “denier,” got his start at the New York City-based NASA science lab more than 20 years ago. “On the slight chance Mr. Trump does make such a move, keep something else in mind: Undifferentiated hysteria will apparently be the media reaction to every Trump action equally whether those actions are entirely justified or entirely indefensible. February 13, 2017 in Climate News Roundup. Sorry, I don’t know what this is related to. However, I can add that when conducting a study on the distribution of Sarracenia in 1969, near Peachtree Rock west of Columbia, my partner and I determined that pH was a key factor. We found pH of 4.0 to be common, in an environment identical to that described above. 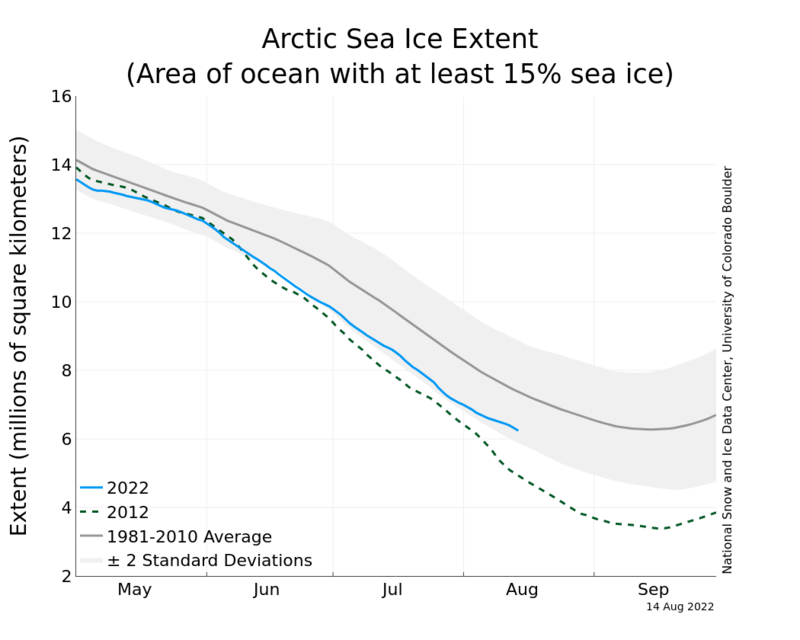 Looks like we are hitting peak ice coverage somewhat earlier this year. At least it will give a flying start to the prospect of a largely ice free Arctic which some posters have been hoping for for some time. Yes, record low extent, with warm air temperatures and warmer sea surface temps in some areas than usual. The ice is thin and broken in some places. I would bet on there being another low to rival 2007/2016 this year and a lower extent than 2012 is sadly quite possible. It may get people thinking Griff, it may even change minds once we have a largely ice free Arctic and associated interesting climate events. – no ice? Great news for shipping! How many people will die, Griff? What causes the blue line to go up and down like it does ?? Gamecock, what is this skeptic obsession with totalling up how many people will/won’t die? A range of effects, likely a number of them bad. The vast majority of them beneficial, as the 0.5 deg C and the 0.04% increase in CO2 have already proved to be. You haven’t a clue what the ideal temperature of the planet is for human habitation, have you? Tell me, don’t you ever get bored of having to sleep on a rubber sheet and waking up in a pool of p1ss every morning? Oh, and have you apologised for lying about Dr. Crockford’s professional qualifications in order to rubbish her expert comments on polar bears? Storms and ice drifiting into the warmer N Atlantic mean it drops and recovers a bit. But quite a lot of the recovery in the extent is thin, broken ice… what it isn’t doing is freezing steadily and expanding the extent at the historical rate. Let’s see how was low outflow in January despite the high water level. Very weak solar wind can once again slow down the circulation. This will be disadvantageous for California, because low again to stop. Better chance of economic shipping using the norther route. Wonderful! And really, you can’t think that very low sea ice, loss of albedo, change in air circulation patterns, etc will have no bad effect on the world? Listening to Yellen on CNBC 1205 ET, some congressman is trying to get the Federal Reserve to take into account climate change, she isn’t going to do it. An interesting exchange, might be worthy of a topic. I wonder what that well known ‘leftist’ organisation the Bank of England has to say on that subjest? Oh come on, all central banks are leftist and political. I just find it interesting that the Federal Reserve hasn’t fully bought into the nonsense, I thought they would have along with the rest. WUWT? If “The Donald” is going to make the USA great again (good luck with that one), he needs to either take over the USA Federal reserve from the private banks (there is an option to take it back) or start printing US dollars from the US Treasury. The last person to print treasury dollars was JFK. Guess the people that own the federal reserve didnt like it. Federal and other reserve banks are about debt creation. Leftist short term.